Want to let someone know that you're praying for them, making sacrifices for their intentions, and offering a spiritual bouquet? These holy card-sized (2" x 3.5") cards are perfect for giving that special someone a little pocket or wallet reminder that you're praying for them. 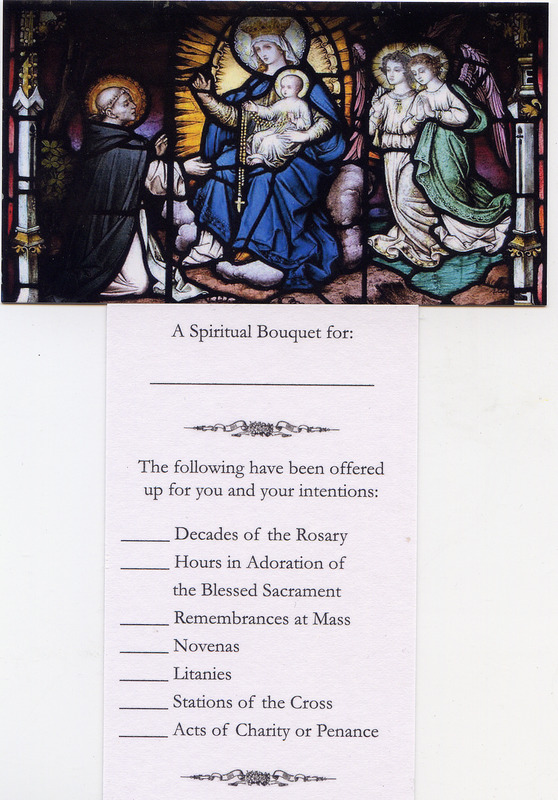 The Our Lady of the Rosary image is in landscape format, and the bouquet text is in portrait format on the back. This catalog item is for a pack of twenty five of these cards.